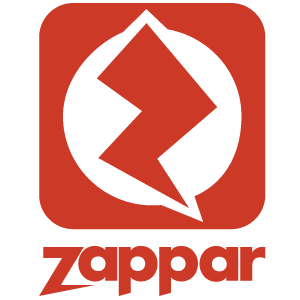 "Zappar provides a great tool for AR Development"
Zapworks provides several tools for AR creation; Zapworks Designer and Zappar Studio. Zapworks Designer is an easy to use cloud based AR creation tool. Zapworks Studio is a stand alone program that allows for more advanced AR experience design. Providing both tools puts Zapworks ahead of it's competitors as it allows for experienced developers and non-experienced developers to create engaging AR content. RIght now Zapworks solutions meet my rapid prototyping and development needs and expectations. I would like to see them continue to develop the Studio software to include additional AR technology such as ARCore (which is in their plan). Zapworks provides several tools to get started developing augmented reality experiences quickly. They provide solutions for beginner and advanced developers to use and they provide quality support and information at their online forum. With augmented reality rapidly becoming a tool to be used in many industries Zapworks is as good as, and better in my opinion, than other solutions currently on the market. Zapworks allows for our team to develop AR experiences quickly and efficiently. We have used the software to create augmented solutions for HR on-boarding, manufacturing training, and enhanced wayfinding. "Zapper works for any level of user!" I like how Zapper has many levels to work with. From Web interface for beginners to ZapWorks Studio for professionals. Zapper's documents and videos are some the best I've ever seen. As well as there forums community with helpful people that are willing to share.. There really isn't anything I did not like about Zapper. I am looking forward to getting more in Zapper's new Zapbox as new features are released. If you're new to programing, take your time and go thru all the training documents. Then go to the forms and ask for help. We are will to help each other out. I have worked with many teams on things like advertisements, flyers and even training videos. Here is a video from one of my training videos for ZapWorks Studio. "ZapWorks makes high-tech content creation easy!" Ease of accessibility - without having to know tech jargon! As someone always looking for new ways to engage audiences, love being able to focus on the full experience rather than get stifled by how much coding language I don't know. Oftentimes platforms like this are limited to people who don't have a full scope on how to code, but this is allows creators of any level to make a full-blown interaction with brands through any medium possible. While their image tracking is top-notch, would like to see more with face-tracking, especially since that's now all the rage across multiple social media channels. Might be helpful to incorporate that in future installments! Multiple people in my business have little to no coding experience - however, the need for customer engagement and growing importance of emerging tech make it necessary for companies across the board to venture into creative ways of audience interaction. ZapWorks makes it easy and accessible for people with limited knowledge of coding (but overflowing creativity) to provide the best possible experiences with our audiences. "AR tool and platform in one place"
One year ago I had no idea how to start with Augmented reality. I tried few AR platforms and quickly realized that this new technology is not so simple, especially if you don't have coding skills. I researched more and find Zappar platform. For the test, I downloaded free trial Zapworks studio and then the fun begins. With no coding skills, I created really nice AR experiences. Their online knowledgebase and live support are really amazing! It's a really powerful content creation tool! The only thing is not 100% the best is tracking quality/stability, but I believe that their stuff will manage that as soon as possible. We can create more interesting marketing campaigns with Zapworks. Our clients looking for new possibilities in today crowded market. "Versatile software for mobile AR works"
The overall versatility of ZapWorks is excellent, it allows us to attach almost any kind of digital content to printed materials. The app and sofware development side of things is handled well by the Zappar team and ZapWorks can concentrate purely on the fun part of creating engaging AR content. At the moment ZapWorks is only able to track printed graphics. Environmental tracking and object tracking would be cool, but they can in some cases be achieved through image tracking as well. Definately give it a try! We are creating multiple types of AR implementations for business clients. For example visualizing new construction sites before they are built, elaborating on a multiple stage process (visual 3d storytelling) and attaching product-related videos to packaging. "Empowering the next gen of creatives to build AR experiences"
ZapWorks is a superb tool for anyone getting started with augmented reality. You don't need coding knowledge or a development background to create AR experiences. Face tracking and world tracking in future versions of the software would be beneficial. With ZapWorks you can focus more on developing your AR strategy, creating new and exciting ways to express the business, rather than spending time learning how to build interactions with script. "ZapWorks is an AWSOME site"
The existing resources and tutorials available by the Zapworks team really helped employees get up to speed and made things flow very well in terms of learning how to use the site. Everything gets sort of complicated once you bet beyong the initial training and useage. But overall its not too difficult to get the hang of. Take time with it and don't get too frustrated because once you learn how to use it, its amazing. We have started to adopt interactive experiences with our employees as well as clients. This has allowed for much ease within the company. The multiple options and simplicity. A+! Wish I could make folders for projects.. Easiest piece of AR software you will use. We are using this for industrial training. I highly recommend ZapWorks... as it works! I love how they interact and explain everything in detail form. I dislike some of the news that isnt very accurate. Some benefits I get to know what is going on in the world and how i can help others in need. * We monitor all ZapWorks reviews to prevent fraudulent reviews and keep review quality high. We do not post reviews by company employees or direct competitors. Validated reviews require the user to submit a screenshot of the product containing their user ID, in order to verify a user is an actual user of the product. Hi there! Are you looking to implement a solution like ZapWorks?